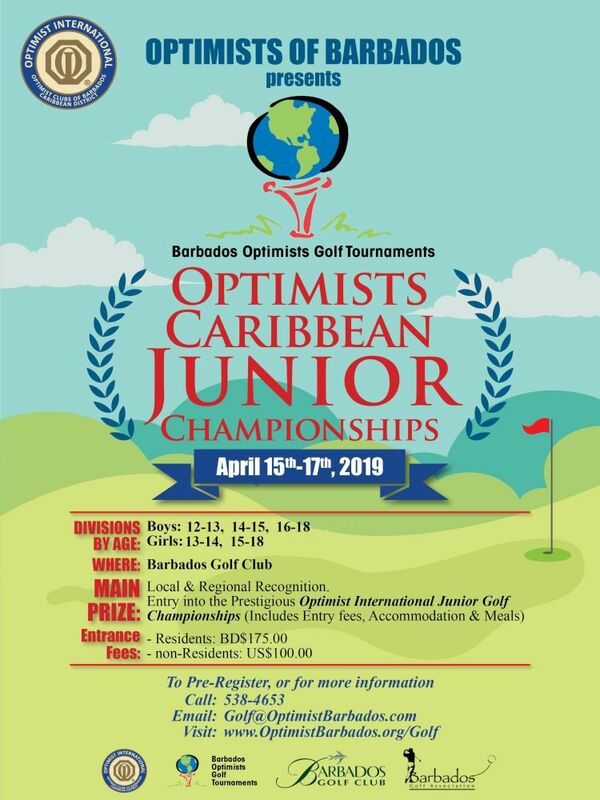 The Optimist Caribbean Junior Golf Championships is an exciting and unique opportunity for young golfers to showcase and test their talents with their regional & international peers. 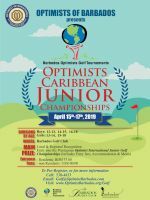 This is an Official District Qualifying Tournament for the 2019 Optimist International Junior Golf Championships (OIJGC) to be held in Miami, Florida, USA. The winner of each division will be offered a spot with entry fee, accommodation, meals and practice rounds covered in the 2019 OIJGC. Play begins at 8:30 am daily. The Prize Giving & Closing Ceremony will be held on Wed immediately after the conclusion of play. Registration fee includes tournament entry fee, daily lunch packs, Golf (practice rounds Bds $40) and access to all Special Events.